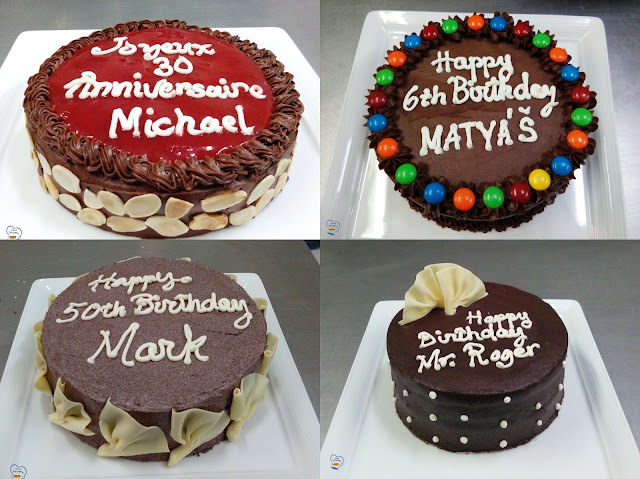 Nothing beats a rich, moist and decadent chocolate cake for a birthday celebration which is why my chocolate cake collection is growing fast. 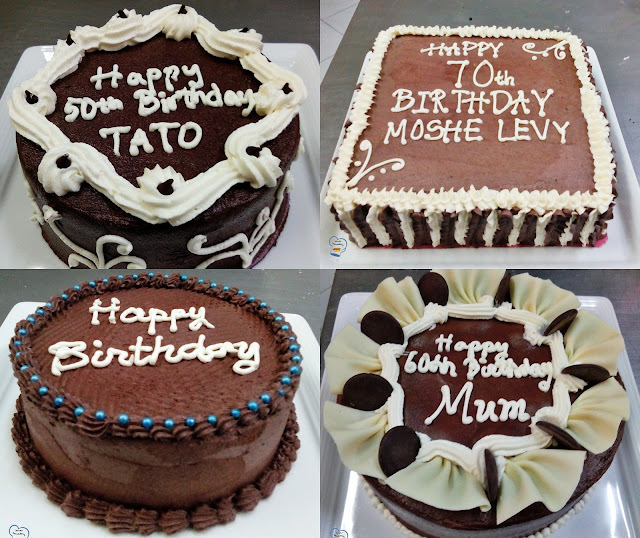 Since the new year began, I have made countless numbers of birthday cakes and I'd say chocolate is still the most requested flavor of all. I made more than what is on this list but the picture quality is not blog worthy. So, here's what the resort's guests indulged on on their birthdays. 5. Four pound square chocolate cake made for a big group. The cake is chocolate, covered and filled with chocolate butter cream I decorated the side using two leaf piping tips, one for vanilla butter cream and the other for chocolate butter cream. I used the same leaf decoration for the top edge. 6. Chocolate cake covered in dark chocolate butter cream. The top is decorated with white chocolate fan and dark chocolate buttons. The base is covered with dots. 7. Very simple chocolate cake covered in chocolate butter cream. The top edge and base are covered with shell boarders. To enhance the look, I added blue sugar pearls in between shells. 8. Chocolate cake covered in chocolate butter cream. The side has piped cake decor using vanilla butter cream. The top edge is decorated using a star tip. The heads are alternately facing opposite direction. I put chocolate bits on each star head.